Click here to see our reference databases organized by subject. The award-winning ABCmouse.com curriculum is designed to help young children (ages 2–7+) build a strong foundation for academic success. ABCmouse.com is 100% educational, with more than 4,000 learning activities across all major subject areas-reading, math, science, social studies, art, and music. Best of all, kids love it. And it’s free to use in this library! From Age of Learning, Inc.
A scholarly resource that contains indexing and abstracts for more than 8,500 journals, full text for more than 46,000 articles, and PDF backfiles to 1975 for over 100 of the journals. The database covers biology, chemistry, engineering, physics, religion, theology and more. Easily search and browse more than a billion genealogy records from 1690 to the present, including obituaries, marriage notices, birth announcements, casualty lists, military and government documents, and more. Includes historical newspapers, books and documents, as well as the Social Security Death Index. This database includes archived material from the following local newspapers: Hillside Suburban Life (2007-2013), Maywood Herald (1995-2006), Melrose Park Herald (1995-2006), Proviso Herald (2006-2011), and West Proviso Herald (1995-2006). Provides access to over a billion names in hundreds of databases, including records from the complete U.S. Federal Census (1790-1930), military records, court, land and probate records, vital and church records, directories, passenger lists, and more. AtoZdatabases is the premier job search, reference & mailing list database including 30 million business & executive profiles and 220 million residents. Ideal for sales leads mailing lists, market research, employment opportunities, finding friends and relatives, and much more! Compare auto loan rates for new and used vehicles from local and national banks. Use the loan calculator to estimate your monthly payment and the learning center to learn more about the loan process. 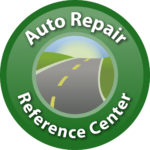 The Auto Repair Reference Center contains repair and maintenance information for most major manufacturers of domestic and imported vehicles. New repair procedures, technical service bulletins (TSBs), and updates are added to each product on a regular basis. EBSCO Publishing has created a business-specific interface for use with appropriate Business Source® databases. The Business Searching Interface (BSI) provides business researchers with highly refined tools to conduct sophisticated searches for the business content that they require. Through the use of the BSI, the full text business content of Business Source® Premier and Business Source® Complete can be located and retrieved more quickly and with greater precision than ever before. A full text business database including topics like marketing, management, accounting, finance, economics and more. Provides consumer ratings on local service firms and stores, such as auto repair shops, plumbers, dentists, banks, and insurance companies, covering the entire Chicago-land area. This full-text database covers topics such as aging, cancer, diabetes, drugs & alcohol, fitness, nutrition & dietetics, children’s health, men & women’s health, etc. ConsumerReports.org provides ratings, reviews, recommendations, and buying advice for thousands of products and services. In addition, users will find in-depth advice, tips, and trends written by Consumer Reports experts. EBSCO Discovery Service brings together the most comprehensive collection of content—including superior indexing from top subject indexes, high-end full text, and the entire library collection—all within an unparalleled full-featured, customizable discovery layer experience. Education Research Complete is the definitive online resource for education research. Topics covered include all levels of education, from early childhood to higher education, and all educational specialties, such as multilingual education, health education, and testing. Education Research Complete provides indexing and abstracts for more than 2,100 journals, as well as full text for more than 1,200 journals, and includes full text for nearly 500 books and monographs. Keyword searchable encyclopedias and reference books related to the arts, biographies, business, education, general reference, multicultural studies, religion, social sciences and more. These titles are online versions of the same Gale print reference sources. A full-text history reference database designed for secondary school students and above. The database has full text reference books, encyclopedias, and history journals. This database offers detailed “how-to” instructions and creative ideas to meet the interests of virtually every hobby enthusiast. 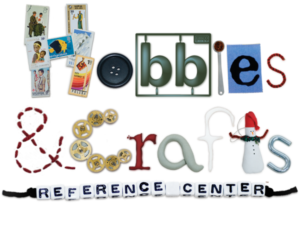 Full text is provided from leading hobby and craft magazines, including Bead & Button, Creative Knitting, FineScale Modeler, Quilter’s World and many more. Home Improvement Reference Center features full-text content from leading home improvement magazines, images not found anywhere else online, and videos of popular home repair projects. All of the content is organized in a powerful, easy-to-use manner so that users can quickly find the information they need. This is a full-text database that combines information from reference works, books and literary journals, as well as original content from EBSCO Publishing. Included are plot summaries, synopses and work overviews, articles/essays of literary criticism, author biographies, book reviews, poems and short stories, and author interviews. Mango is an online language-learning system to help you learn a foreign language. Some of the languages you can learn are: Arabic, Chinese, French, German, Italian, Japanese, Russian and more. Mango also has a module for learning English as a second language. MEDLINE provides authoritative information on medicine, nursing, dentistry, veterinary medicine, the health care system, pre-clinical sciences, and much more. Created by the National Library of Medicine, MEDLINE uses MeSH (Medical Subject Headings) indexing with tree, tree hierarchy, subheadings and explosion capabilities to search citations from over 5,400 current biomedical journals. Middle Search Plus contains full text for more than 150 popular middle school magazines and reference books. There are thousands of biographies, historical essays, photos, maps and flags. EBSCO’s Newswires provides near real-time access to top world-wide news from Associated Press, United Press International, PR Newswire, Xinhua, CNN Wire, and Business Wire on a continuous basis. This content is monitored by EBSCO and relevant results are provided when users enter searches in EBSCOhost. 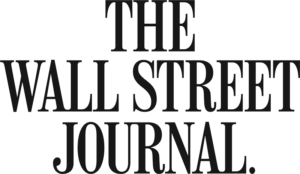 This collection includes AP Financial News, AP Top News, AP WorldStream, AP U.S. Politics & Government, AP 50 State Reports, UPI Security Industry, UPI Emerging Threats, UPI Business, UPI Entertainment, UPI Sports, UPI Top News, Arabia 2000, and more. Users can immediately access the full text of the web content, by following the link in the record. The index to the full text content in EBSCO Newswires is held for a rolling 30-day archive by EBSCO, so users can enjoy the previous 30 days of news relating to their search interests. An extensive database of fiction and nonfiction for adults, teens, and children offering subject access and full text reviews. Author read-alikes, awards, theme-oriented book lists, book discussion guides, book talks and feature articles for a wide range of reading interests. Gain a balanced perspective on current issues. This full-text database contains essays and articles that present multiple sides of an issue. There are hundreds of topics, each with an overview, point, counterpoint, and Critical Thinking Guide. A database that contains full text for more than 80 popular elementary school magazines, in addition to reference books. All full text articles are assigned a reading level indicator. Search for real estate transactions, new businesses, foreclosures, auctions, and bankruptcies in Cook County and a growing number of Chicago-land counties. Publication Finder Interface allows users to search the various resource publications featured in the library’s collection. Read It! promotes reading success for English language learners. It is designed for middle and high school students and adults who have a basic foundation in English grammar and reading but need adapted reading material for a variety of subjects. Articles from 80 regional business publications, including Crain’s Chicago Business, can be searched and viewed on this database. The online literacy resource that pairs classic video storybooks with related nonfiction eBooks. An engaging way to link fact and fiction. BookFlix reinforces early reading skills and provides an introduction to a world of knowledge and exploration. Scholastic TrueFlix is an online Whiteboard resource focusing on engaging science and social studies content for students spanning grades 3-5. A comprehensive research database that provides easy access to a multitude of full-text science-oriented content. It also contains full text for hundreds of science encyclopedias, reference books, periodicals and other sources. Some of the topics covered include biology, chemistry, health and medicine, history of science, scientists, technology, wildlife, and much more.